Friday 07. December 2018 - John Roberts of Minneapolis, Minnesota recently signed the first Heidelberg Subscription contract in the United States. Through their participation in this unique program, John Roberts expects to improve both their print quality and overall productivity. 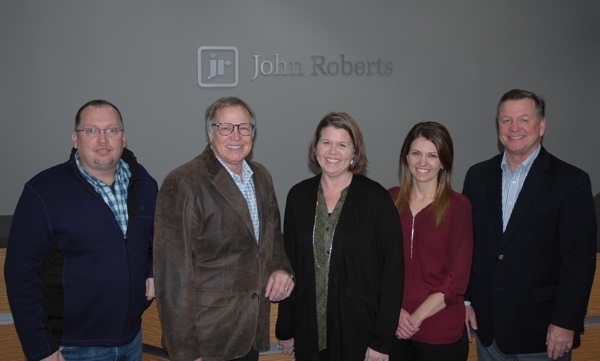 John Roberts’ Subscription contract includes a new Heidelberg Speedmaster XL 106-6+L as well as Prinect software, Saphira Consumables, parts, performance consulting, and service. Everything will be provided by Heidelberg for a monthly fee based on the number of printed sheets produced each month. Heidelberg will also work with John Roberts to analyze their current operations and establish goals for improved production and reduced cost-per-sheet. Replacing two older Heidelberg presses, the Speedmaster XL 106-6+L will help open 30% more daily capacity for additional jobs. With maximum production speeds of up to 18,000 sheets per hour, the peak performance press can handle even the most complex job changes at the fastest speeds possible. The press also includes Prinect Inpress Control 2, which allows the XL 106 to deliver the first measureable result in less than 60 sheets and is ready to start printing in less than 1 minute. Equipped with “Push to Stop” technology, the Speedmaster’s jobs can be autonomously changed without operator intervention. The press can continue to print until the operator interrupts it. This software system dramatically reduces the number of operating steps in a job change and also enables all operators to achieve uniform results. While the new technology of the XL 106 alone will increase John Roberts’ productivity, Heidelberg’s Subscription program goes well beyond just providing equipment. The company will also be supplied Saphira Consumables, performance efficiency services, and training that are all perfectly tuned to their applications. Monthly performance efficiency meetings with management from both companies will analyze John Roberts’ KPIs, comparing them to benchmarks from other printers in the industry. These meetings will continuously help set and track ambitious production goals.